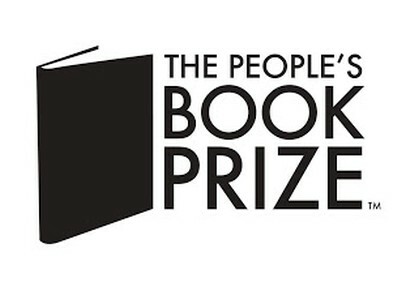 The People’s Book Prize is a national literary award voted for solely by the general public. Founded by Dame Beryl Bainbridge DBE, the award champions new talent and celebrates reading. 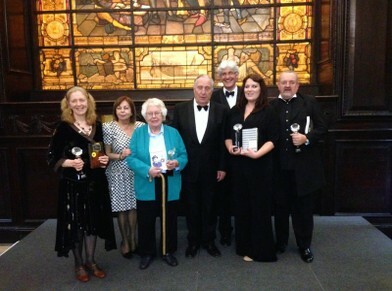 Candy Jar has achieved great success in this competition; One Woman’s War won the non-fiction 2012/2013 award and Kangazang! Star Stuff, and Companions: Fifty Years of Doctor Who Assistants were shortlisted for the prestigious award. The Cardiff Life Awards celebrate the best business in Cardiff, applauding what they have achieved in the past year and encouraging them to go further in the years to come, and we've been lucky enough to be nominated in the Creative Business category. The awards are in partnership with Blue Parrot Company, Introbiz, and the #StayStrongForOws campaign, and is sponsored by some great names including Park Plaza Cardiff, Capital FM, Chapel Bar & Restaurant, Spire Hospital, Volvo, Enlightened, Pensord and Stills. In May 2016, The Search for Mister Lloyd by Griff Rowland was chosen as the winner of the Tir na n-Og English-language Award. This award is sponsored by CILIP Cymru/Wales (Chartered Institute of Library and Information Professionals), and celebrates the best of fiction with a strong Welsh influence and background. We are extremely proud to have been recognised for our achievements in 2015, and really excited to continue getting bigger and better in 2016. In case you hadn't noticed, the last year has brought about a huge amount of great things for Candy Jar Books. Despite a few bumps in the road, we've remained determined as ever to keep on giving you lovely people what you want - books, books, and more books! We acquired the rights to produce original fiction with a classic Doctor Who character and brought you our incredible new Lethbridge- Stewart series with four amazing titles (and more still to come), we made sure that you can now hear Eileen Younghusband's One Woman's War on audiobook as well as the Lethbridge-Stewart books, and we released a load of other excellent books including Princess Phoebe Meets the Tudors by Emmerdale actress Sammy Winward, and Not That Kind of Art by super talented food artist Nathan Wyburn. We launched the Candy Jar Book Festival during the summer for the second successful year, we were at the Hay Festival and Cardiff Comic Con, and so much more! While it's certainly been a busy and exciting year with loads of hard work from everybody here, a big part of this huge success is down to our authors, readers, artists and friends. Every book sold, every review posted, every like, share and retweet on Facebook, Twitter, and everything else goes a long way to spreading the Candy Jar word. So, thanks everybody!